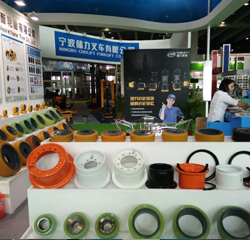 Shanghai JiuYue Mechanical And Electrical Equipments Co.,Ltd. is one of the earliest companies that research and produce high quality and large size polyurethane solid tires in china .Our products have reached the equal quality of the same grade products of foreign company.Our company adopted original imported chemical raw materials to synthesize prepolymer,and used advanced automatic,original equiments together with strict mechanical process and manufacture test system to ensure the stability of product,and these products have endured the proof of atrocious environment for long time. Polyurethane and rubber solid tires were applied broadly to all kinds of reach truck ,VNA Turret Truck ,Lateral/Multiway Truck,Electric Stacker(stacking machine ),Pallet Truck，Pallet Stacker and Tractor which were used by warehouse，Hypermarket loading at distribution and pipelinings of factory and mine . The properties of high strength ,high loading,high loading,high abrasion resistance and high tear resistance which were possessed by PU solid tires could not be compared by rubber solid tires .our company has offered services of OEM for many domestic top-ranking large companies of truck and our products are suitable similarly to TOYOTA、NICHIYU、HYSTER、JUNGHEINRICH、LINDE、KOMATSU、HC、HELI、ATLET、BT、CLARK、CROWN、DAEWOO、HYUNDAI、、SHINKO、MITSUBISHI、OM、THANKYOU、TCM etc name brand truck. 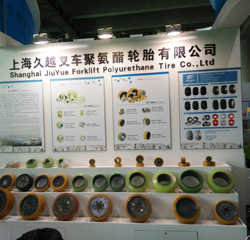 We have stored a number of PU and rubber solid tires and green non-marking solid tires for domestic common electric truck，and can afford processing of pattern and draft by customers offered and operation of covering stock (rubber). 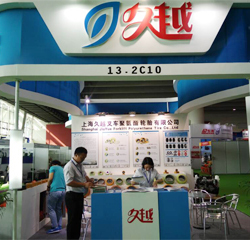 Our company could supply reliable high quality products and fast convenient service for customers.